The powerful Black Gold plant grows wild in the untamed bush of Ethiopia. And historians say it’s probably been used by the locals for thousands of years. But then somewhere around 1400, some clever person had a bright idea that changed EVERYTHING. They decided to roast the beans from the plant transforming them into a staple loved the world over. I’m talking about coffee, of course. Or the Black Gold that graces the breakfast (lunch AND dinner) tables of folks across the globe. In more recent years, we’ve discovered that coffee isn’t just an indulgence. Lucky for us it’s ALSO a health elixir, offering bunches of benefits for regular drinkers. And now researchers at the Krembil Brain Institute say your morning cup of Black Gold could be protecting your brain too. Because there’s growing evidence that drinking coffee sends your risk of developing Alzheimer’s and Parkinson’s disease plummeting. But it turns out knowing the RIGHT kind to drink could make a big difference. And I’ll tell exactly what that is in just a moment. For the new study, the team wanted to pinpoint what compounds in your favorite brew shields our brains against age-related declines. And good news for you decaf drinkers out there. It WASN’T the caffeine providing the protection. Instead, the team zeroed in on compounds called phenylindanes. Unique substances which, interestingly, only show up AFTER the beans are roasted. To the researcher’s surprise, phenylindanes inhibited the bad guys… beta-amyloid and tau… from clumping together. And as you probably know, knots of these proteins are one of the most prominent signs of Alzheimer’s and Parkinson’s diseases. Which means if you’re regularly drinking coffee you’re already reducing your risk for these devastating brain diseases. And that’s true no matter which type of coffee you prefer. But if you want to get the MOST protection, you need to drink the right kind of coffee. And according to the experts the darker, the better. As I mentioned earlier roasting the bean is what produces the beneficial phenylindanes. And when they’re roasted longer, it leads to higher amounts of the compound. If you can learn to drink your coffee black, that’s best. But if you can’t stomach that try drinking coffee with just a splash of real cream. Studies have found your coffee habit could reduce your risk for liver disease too. Aim for three cups of Black Gold a day to slash your risk for liver cancer up to 50 percent. If you’re a five cup a day person, you could be reducing your colorectal cancer risk by 15 percent, according to researchers. Coffee drinkers have lower rates of type 2 diabetes. And in a huge meta-analysis, researchers found for each extra cup you toss back you could be raising your protection by seven more percent. Harvard University reports drinking two to four cups of coffee could reduce your risk for heart disease, heart attack, and heart failure. Coffee drinkers are less likely to be hospitalized for irregular heartbeats. And volunteers’ in the Nurses’ Health Study, volunteers who drank two cups of coffee (or more) a day had a 20 percent lower risk of stroke than those who drank less. So go ahead and keep enjoying your brain-friendly Black Gold. 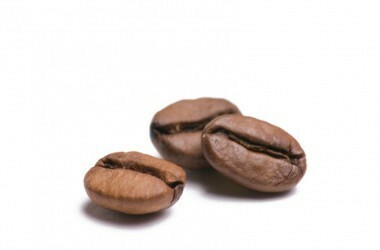 Just opt for the darker roast coffees when you can for even MORE protection against Alzheimer’s and Parkinson’s.